Propaganda is what ravages genocides. The spew of information provides a slew of uninterrupted knowledge, that infiltrates unbeknownst minds. Propaganda is the unsolicited information from political parties’ viewpoints. Forms of propaganda have been shown, in history, to have been relics of harsh political philosophies. For example, when it pertains to the Holocaust, Jewish symbolism (defined noses, money etc.) played a role in identifying the scapegoats in that genocide. 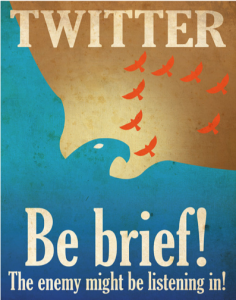 Currently, propaganda is contemporarily around us all the time. Our impressionable minds envelope the knowledge that infiltrates our current political views, leaving us inferior to other political beliefs. This paper is going to explore contemporary images of propaganda amongst us, in comparison to historical images of propaganda. 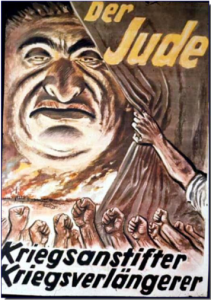 The first image that was analyzed is a Holocaust poster warning against the trusting of Jewish men. The symbolic imagery of the Jewish man is plain, with the sharp nose and heavy-set features in the face. However, the ominous dark head brings malice of a malignant presence. Thus, insinuating that the Jewish man is evil because he is wealthier than one by: their weight (can afford food to live), gaudy physique and outstanding snarky features. This symbolic imagery plants a schematic seed inside struggling working-class individuals for a scapegoat to their problems. Hitler accomplishes his goals through propaganda successfully wedging the gap between the inferior and superior classes of people. In contrast, with the current age and rate of growing technology, propaganda is moving to internet lengths. The final image of propaganda is contemporary. The current millennium is ingratiated with twitter news feed. Society wants exponential amounts of information in a short amount of time. This causes for current information to get lost in translation, with many opinionated pieces. This act of propaganda is set to get twitter followers, and viewers, acclimated with misinformation. Insinuating that your opinions may be listened to by the government and/or omniscient power. The propagandized information calls to action our personal environmental influences of the “enemy”. Everyone enemies are different by our environment experiences shaping our fears. 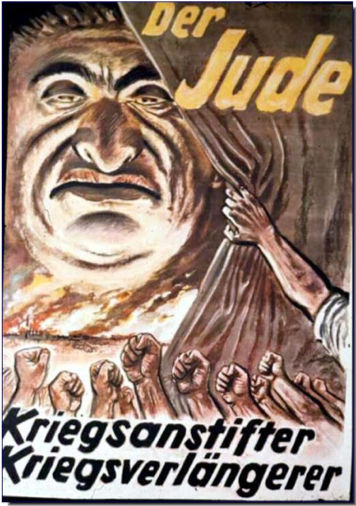 The ambiguity of this contemporary poster is vastly different from the direct symbolism, in the historical Holocaust propaganda, in that this contemporary imagery is aimed to instill fear. Whereas the other, was aimed to blame someone for fear already felt. The two tactics work in unison to keep society at arms lengths, regarding governmental knowledge. Contemporary propaganda is an existential form of endurance for the conscious self. The implicit nature of the unbeknownst knowledge we are devouring is unprecedented. Especially, in the golden age of social media. 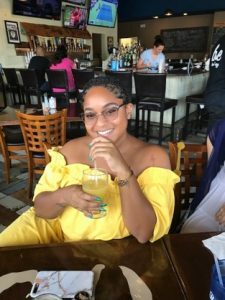 Ways to counteract the knowledge that forebodes our current ideologies is to stay knowledgeable about the certain facts you may stumble upon. If it is written down by a non-peer reviewed editorial, the information should be fact checked. Propaganda is all around us; infiltrating our safe spaces, while changing our impressionable minds. We shall overcome the contemporary images of propaganda against us.